Solve your Rubik's Cube simply. No terminology, memorization, or shenanigans. Enter your colors, and press solve and we'll get you back to normal. Enjoy! 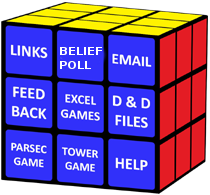 Choose Color of Cubelet. Paint Cube Face. If you need information or help, Go to our help page. If you are interested in the source code, Click here. There is a helpful community about the Rubik's Cube and solving it at the Cubers subreddit. and Update the Website: Archived Here!